The religion and culture of Muslims is one of the oldest in the world. The way their people dress is something that differentiates them from the rest of the world. Women especially are required to wear long flowy clothes that do not accentuate their figure, while the men also wear a long dress typically white in color for their casual and outdoor wear. Some of the dresses and garments that Muslim women adorn are an abaya, hijab, kaftan and burkha. These dresses were originally created to keep the woman under wraps and protect her modesty but as the time went on many people, both men and women tend to agree that while wearing these garments is as much as a necessity as it is a personal choice, they should also come in various colors and patterns so that a woman might be able to feel satisfied while looking at herself in the mirror. An abaya is a long, floor length dress typically in the color black that has full sleeves is a loose fitting dress worn by women outside their houses. A hijab is a piece of clothing women wear around the head and neck to prevent anyone outside their immediate family members to get a glimpse of their necks or hair. A kaftan is a long garment with long bell sleeves that can be worn as overdress or coat and burkha is a type of garment that covers the whole body of a woman except the eyes, hands and feet. Almost all these clothes were designed for protecting the modesty of a woman and they were all black in color at the start. Nowadays most designers and women believe that wearing a garment with the same design but in different colors and patterns is not a single as it also serves its purpose as compared to the garments worn traditionally. These are all Muslim dress women and can be found in various local stores as well as online stores. Muslim wear for women is something that is both comfortable and stylish and it can be found on various online stores, which have a tremendous amount of choice for a person to choose from. From multi colored clothes to patterns that are especially stitched to accommodate on the many garments, there is a lot of choice for every women in the Muslim culture. 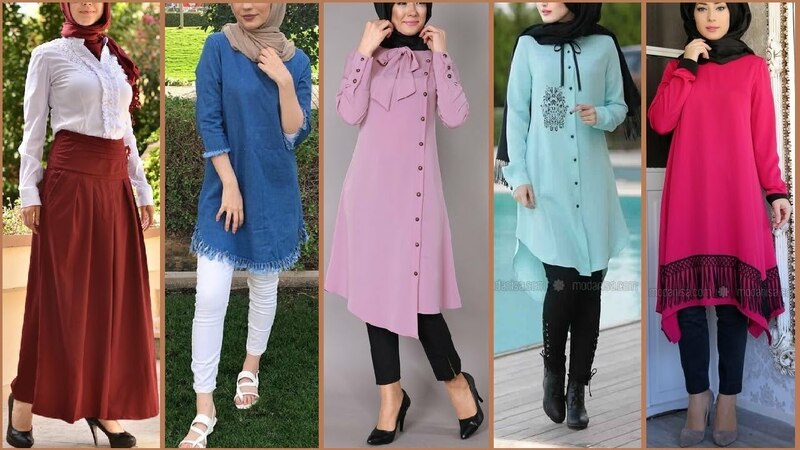 Women who prefer different materials in their abayas or kaftan or hijab are in for luck because an online store contains them all from wool to silk to cotton an online store has availability in the choice of garments. Shopping from an online store in terms of clothes of Muslim women is extremely beneficial for such women because it does not require them to go out in the sun and also allows them to choose their clothes in an unhurried manner and at a leisurely pace. While the variety of clothes at an online store is unmatched to any local store, the quality of the clothes is also some of the best there is.